Crazy8.com: Buy one, Get one for just 8¢!!! Plus FREE Shipping — NO Minimum!! Today only! 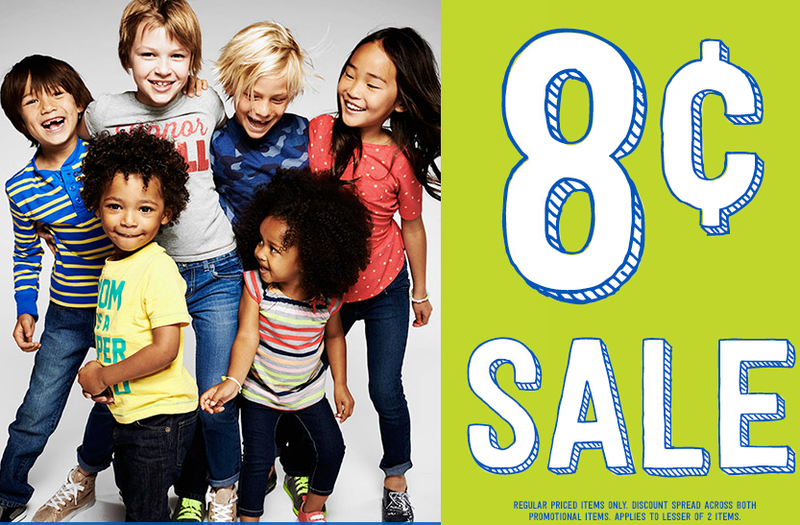 Here is another incredible sale to get your Back to School shopping wrapped up! Crazy8.com is offering Buy one, get one for just 8¢ on all Tees, Polos and Jeans right now!!! PLUS — today only you can get FREE shipping — NO Minimum with the promo code CUPCAKE — they have a ton of great sales that you may want to check out too!! Head over to Crazy8.com now!